Josef Matula is a character of a famous detective show ‘Ein Fall für Zwei’ starring Claus Theo Gärtner. The show features two main characters out of which one is Josef Matula who appears constantly in all the episodes. Josef Matula was originally a police officer in Frankfurt / Germany who became a private detective in his later life and worked together with defense attorney. 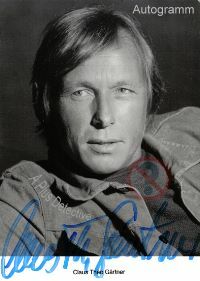 This is one character which was changed several times in the show, initially starring Dieter Renz, Rainer Franck, Johannes Voss and then finally Markus Lessing. Renz got retired, Franck joined a teacher and Johannes was shot dead by a criminal, which made the character to be changed several times. In the year 1981, this show was launched and the pilot episode depicted that Josef Matula was 31 years old and still a police officer in Frankfurt. Matula never married any woman but he was always encircled with beautiful females. Apart from investigation, Josef Matula is a very good cook who loves to cook most of the times. Ein Fall für Zwei was a legal and crime based drama created by Karl Heinz Willschrei starring Paul Frielinghaus, Claus Theo Gärtner, Günter Strack, Rainer Hunold and Mathias Herrmann. The show was first aired on 11th September, 1981 featuring two main characters, defense attorney and private investigator. Josef Matula, the private investigator in Frankfurt / Germany was a German police officer, but after a few years, he shifts to his private business and starts a detective agency in Frankfurt. The character playing the defense attorney helps Josef Matula in most cases, so that he can solve mysteries behind the criminal cases. Josef Matula is an investigator that closely inspects every minute detail so as to trap the criminal. Most of the detectives are portrayed as a personality that follows the laws very strictly, but Josef Matula has been depicted as a detective who uses his own ways to catch the offender. Several times he makes use of his dirty tricks so as to get to the bottom of the case and unearth the actual criminal rather than blaming the suspects. Josef Matula also incorporates several effective and direct means that prove to be very helpful while dealing with cases. Usually, Josef Matula gets involved with cases including murders, kidnapping, smuggling and many other crimes. All the paper work is managed by defense attorney, while the research part is managed by Josef Matula. He investigates every single aspect, gets involved in fights and knocks down all the lawbreakers. In most of the episodes, the suspect turns out to be innocent and the real culprit is found by both defense attorney and private eye detective. The show was cherished a lot by the viewers making it a highly rated series, but one of its theme was criticized, as well. The character of Joseph Matula has been shown as a rough and tough man who has his own way of dealing with crime, criminals and suspects. This is one reason that viewers greatly appreciated this show and made it one of the highly rated series on German television. Do you speak German and want to learn more on famous detectives? Take a look at our website Berühmte Detektive and find lots of information on detectives in fiction.